California Archives - Live. Travel. Play. The week following Lucky’s rehab was pretty hectic. 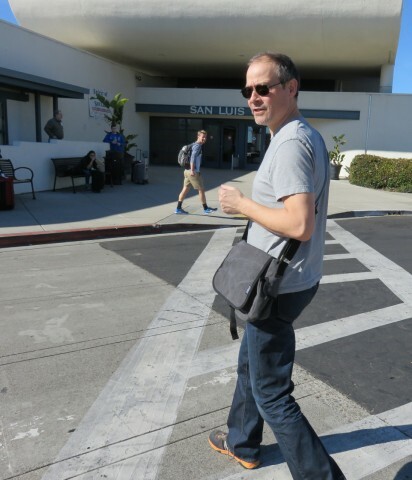 We had scheduled visits with friends and family in the greater Los Angeles area, but with Lucky’s delay at GoWesty and Gregor having to work in between driving days, there wasn’t a lot of time for sightseeing. Gregor and I were camped at Malibu Creek State Park, California, when we started planning the driving route for the next day. 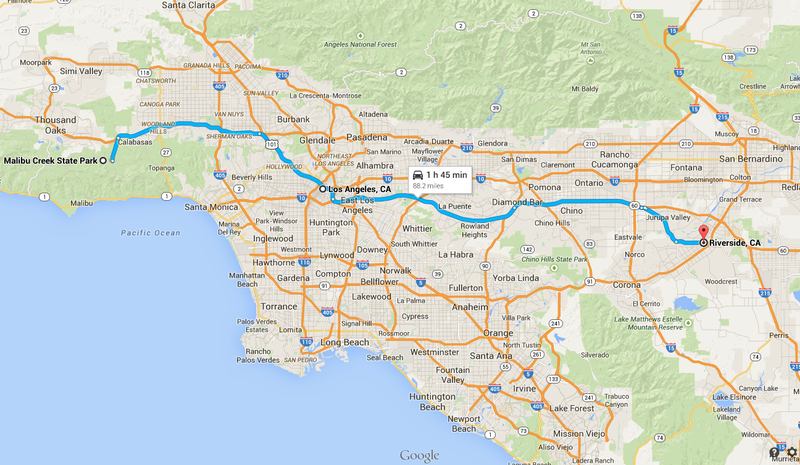 Our goal was to drive to Riverside for a 5 pm dinner with Gregor’s friend, Babak, and his family. Today was the day. Our plan was to pick up Lucky from rehab at GoWesty, drop off the rental car, and spend a final night in Oceano before heading towards Mexico. Knowing that Lucky was going to be in GoWesty’s shop for at least a week, we decided to tour California’s central coast and immerse ourselves in the culture of San Luis Obispo County (SLO County). To kick things off, Gregor bought himself a stylish shoulder bag in downtown SLO. I was very happy about this, as it would spare me from carrying his sunglasses AND reading glasses AND Blistex lip balm in my purse. It would also spare his jeans from wallet elephantitus, the notorious virus that causes the fatal back-pocket-eating disease. “I like your man purse,” I said playfully. “It’s a satchel,” he snapped. 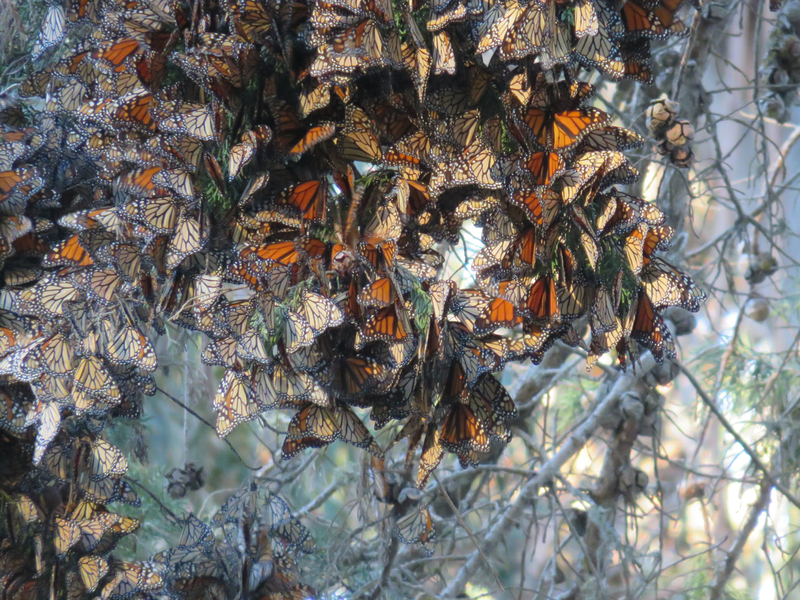 Each year, tens of thousands of Monarch butterflies migrate to Pismo Beach, California, to escape the harsh winters of the great white north. 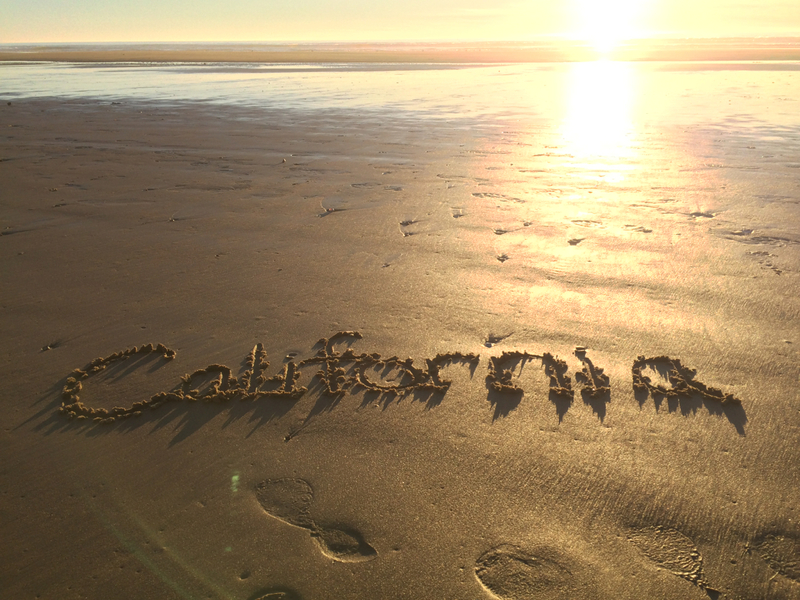 We came upon Pismo Beach entirely by fluke (or fate, depending on how you see things). 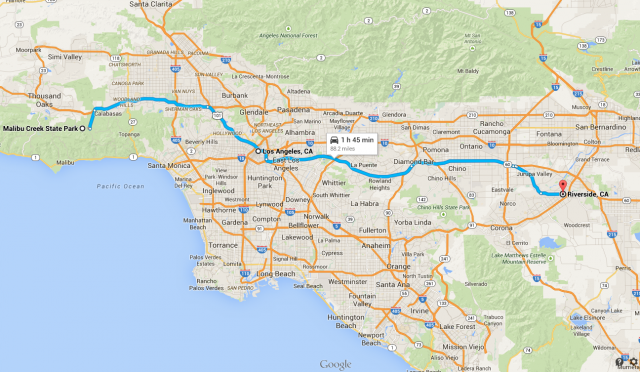 Our first major milestone was to get our van to Los Osos, California, by Jan 5. That’s the date that Lucky was scheduled for a mechanical makeover at GoWesty, a highly regarded Volkswagen restoration and sales shop whose mission is to keep the old VW hippy busses and camper vans alive and healthy.